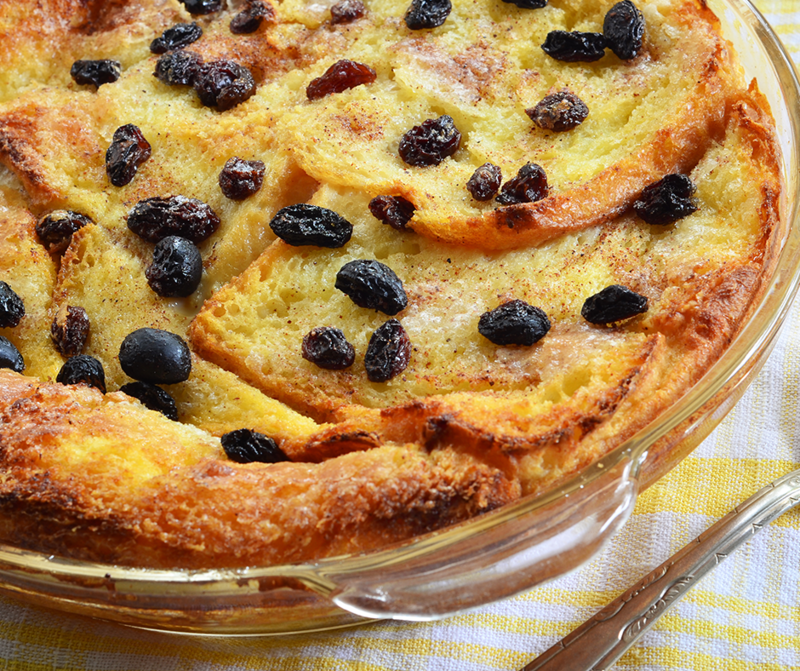 This classic dessert is typically a no-no when trying to lose weight, but luckily with just a few ingredient substitutions you can enjoy this old favourite as party of a healthy balanced meal plan. How great is that? A delicious dessert plus and still get the weight loss results you are working so hard for! 1: Preheat oven to 150°C. 2: Brush each slice of bread with margarine. 3: Evenly arrange layers of bread- margarine-side up- in a baking dish. 4: In a medium saucepan; heat skim milk and vanilla bean until almost boiling, then remove from the heat and set aside for 10 mins. 5: Beat stevia and eggs together and then pour into milk. 6: Strain the mixture and return to pan. 7: Cook at medium heat and until custard just coats the back of a spoon, then add cinnamon and nutmeg. 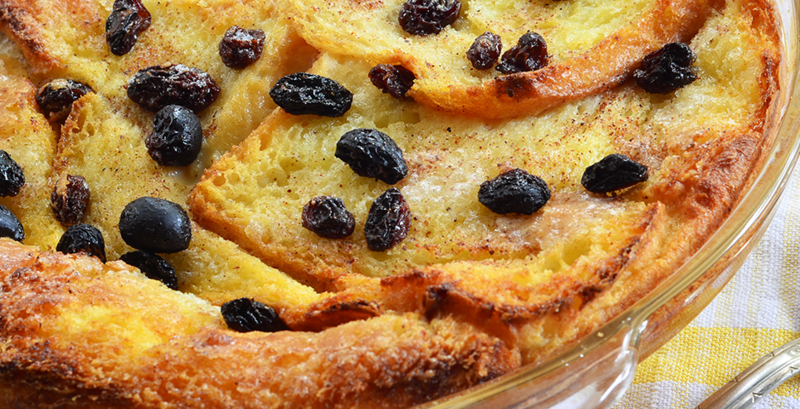 8: Pour custard over bread and top with raisins in baking dish and leave to soak for 20 minutes. 9: Bake for 30–40 minutes or until golden.